4 minutes walk from P1 Parking Amsterdam Centrum. 4 minutes walk from Centraal Station (bus, metro, tram, train). 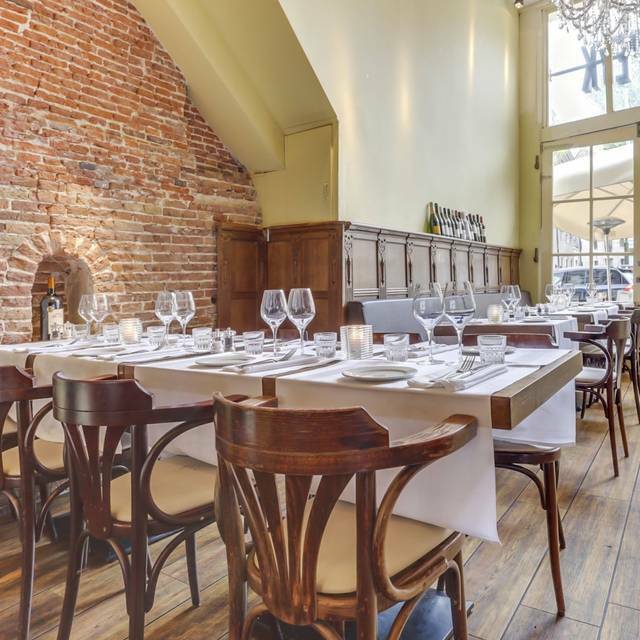 Situated in a historic warehouse dating 1659, between the Dam square an the Grand Central Staion, Van Speyk is a classic brasserie that serves French-influenced Dutch cuisine, in classy surrounds that feature chandeliers, exposed bricks and outdoor dining. 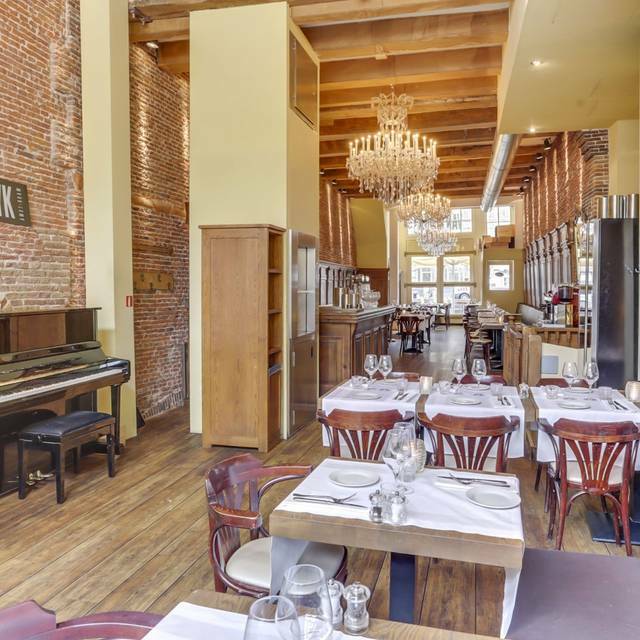 The kitchen places a focus on using the freshest local ingredients and spices for authentic flavor. The menu features an extensive range of starters, entrees and sweet desserts. Van Speyk also offers a special group menu, created for groups of more than 12 and up to 50 (private dining services also available on request). 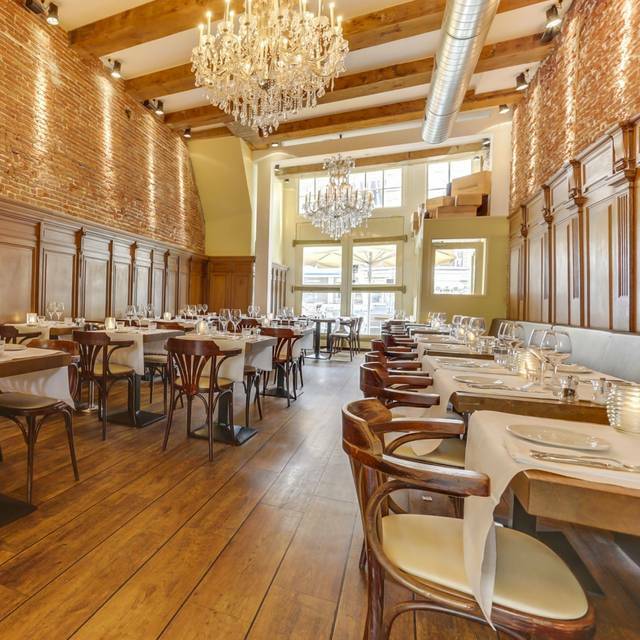 Visit for Diner and gorge yourself on traditional classics such as Zeeland oysters ,a beefstew with oak-smoked sausages or an excellent steak Bordelaise. Complement it with some local beer or wine. Van Speyk is open daily, from 5.30 p.m. until midnight. We visited this restaurant for my girlfriend’s birthday, on out first night of our trip. Unfortunately, we received very poor service and even witnessed the man who appeared to be the manager being incredibly rude, when all we asked was to move one table over so that we could sit next to the window. His over exaggerated reaction to a simple request was out of place in what we thought was an up scale restaurant. Though the food was good, this server’s rudeness and inability to attempt to satisfy a simple request ruined the evening. Excellent food. Service a bit slow. Took care of several tables that came in after us 1st throughout the night. Great time with good friends! Average at best. In town from San Francisco hoping to find a spot off the tourist beat. Service started out ok but I like my filet medium plus and got attitude from the server. The place has French fries on the menu and a laminated wine list so a weird stance to take. Decent value but remember give your customers what they ask for or they will not return. Service was good, feels like they are understaffed. Arrived at 7.30pm starters came at 7.45 which is reasonable. However our mains only came at 8.45. Waitresses were very apologetic and gave us a free bottle of water. Asked for the bill and took them quite awhile to bring the credit card machine. Wonderful food! Great for tourists/visitors. Loved the ambiance with an elegant yet rustic vibe. Only downsides were our drinks were forgotten a few times and stairs to the bathroom are a bit steep so try to go before your third cocktail. Overall would 100% recommend! Excellent food. I would give it five stars but for the fact that it feels a little bit cramped in the restaurant when busy, so only four. I would return for sure and probably ask for a table along one of the walls which have a little more room. We had a delightful dinner. Food was delicious. Drinks were good (I discovered Dutch wine!) Staff could not have been friendlier. Casual and cozy, but it felt special. 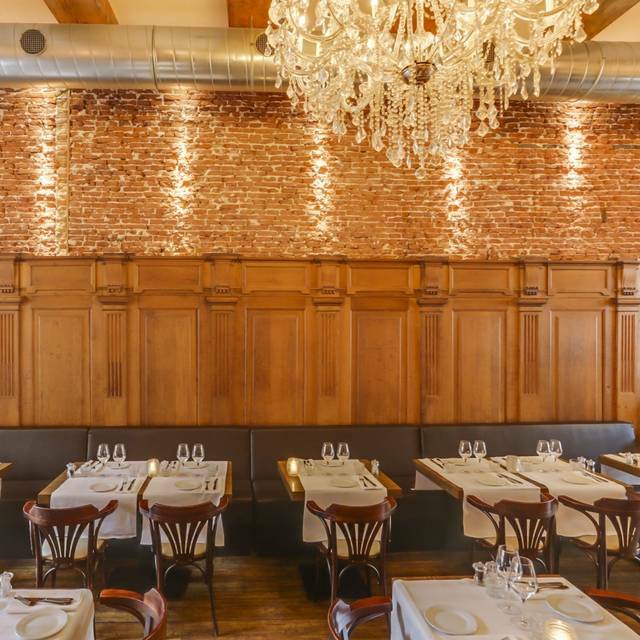 Brick walls, wainscoting and chandeliers—it felt like a nice neighborhood bistro, similar to tucked-away places you might be lucky to find in London, or New York, or San Francisco. Couldn’t be more satisfied. If I lived in Amsterdam, I’d be here a lot. 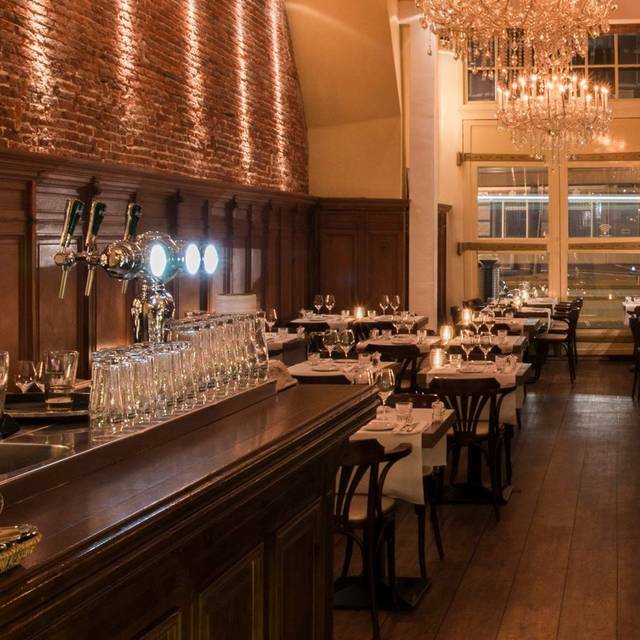 Een geslaagde avond in een zeer geslaagd restaurant: gezellige plek, met mooie meubels en hoog plafond. Zeer vriendelijk en competent personeel. Fantastisch lekker eten. Aanrader. Excellent everything. And reasonable, considering quality and service level. Excellent for business dinners. Beautiful Decor and really good food. Personally, I feel the options for the starters let this restaurant down a little. Food was great along with the excellent service. The ambience was very romantic. 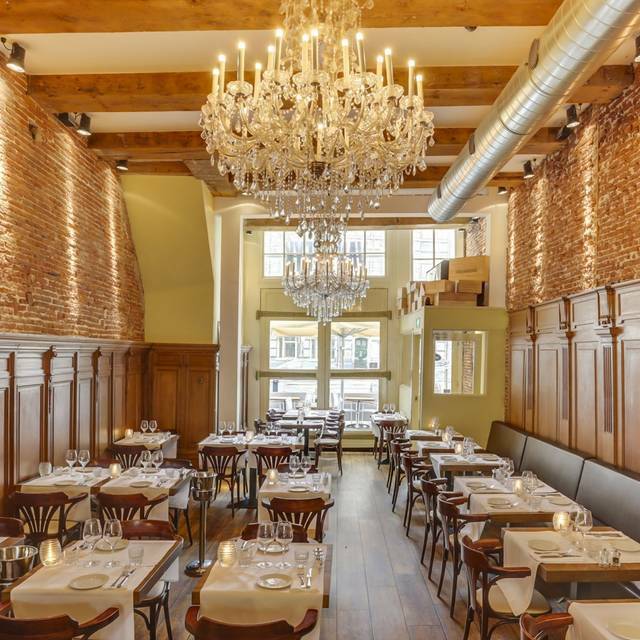 We loved our dinner under the twinkling chandeliers at Van Speyk. Not often do you get a meal without a single misstep. From the moment we entered Van Speyk we were treated, not as tourists but, as guests in their home. Our generous gin cocktails were only surpassed by escargots, onion soup, scallops, and superior steaks. 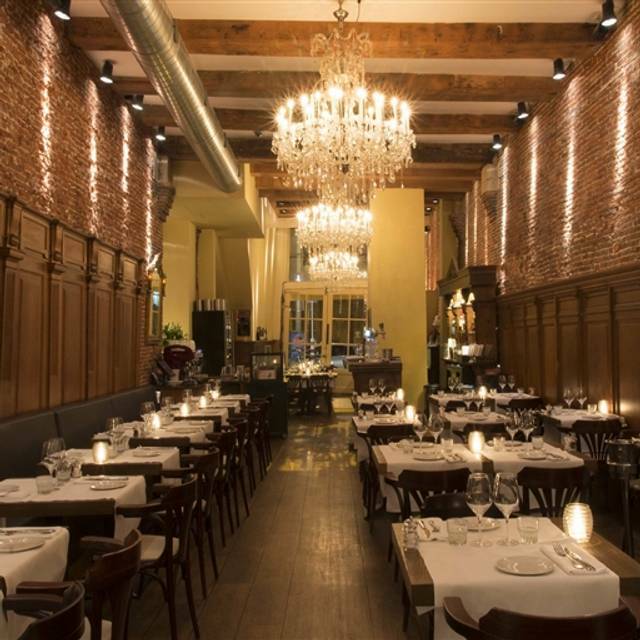 A most memorable meal with exceptional service in Amsterdam. Excellent "nice" option in the Red Light District, very close to Centraal Station. We were looking for a good restaurant close to Centraal Station, for a high-quality meal with our children. 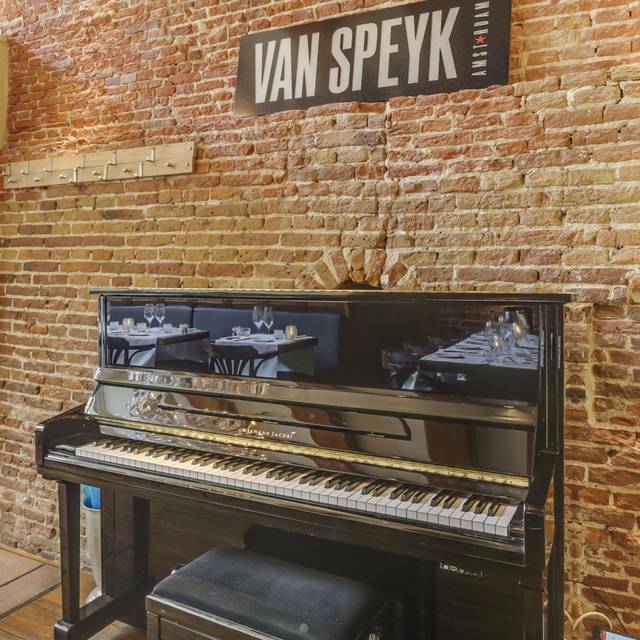 In a neighborhood with few good family-friendly, higher-end restaurants, we were thrilled to find Van Speyk. 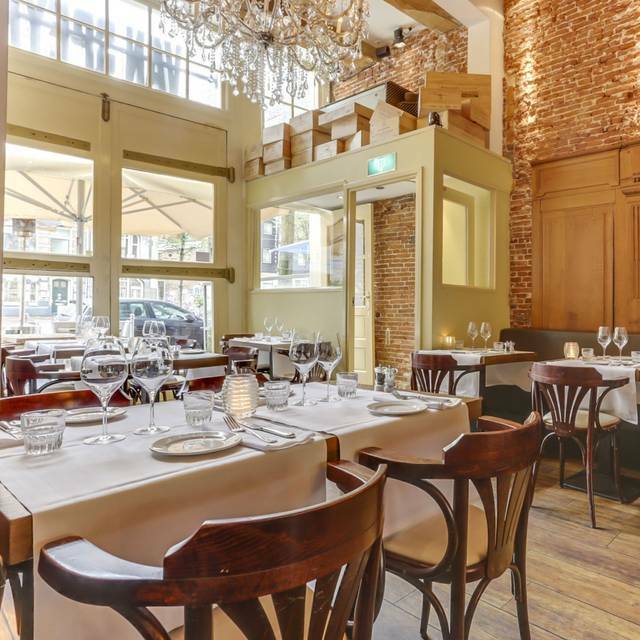 The décor is lovely, the food was fantastic (we had steaks, chicken and beef stew), and the staff was lovely - giving us great insider tips about Amsterdam's history! Nice atmosphere, great service. Food selection somewhat limited but something for everyone, including vegetarian. Food quality was very good. It was a birthday surprise. Wonderful service and a delightful prefixe for the holiday meal.. really enjoyed it..close to central station..
Had a limited menu due to it being Christmas but the food was lovely. I recommend the stew. Fantastic! Great food and great service. Highly recommend. Excellent food selection with a good proportion of Dutch sourced produce beautifully prepared and presented by pleasant staff. You certainly need to book ahead. Duck and Oysters were both superb as was my wife's choice of beef stew. Delicious food and ambiance, what more could you ask for. Location is very convenient. Staffs are very friendly and quick service. Menu is nice for people who wants to have Dutch menu. The food was delicious and the service was spot on. such a wonderfully cozy restaurant in Amsterdam. the food was delicious and the servers friendly! Great food, and super friendly staff. Highly recommended. Shame we came on the day the restaurant had a group of 20 people. Worse still, there was a table with 3 Americans in the middle or the restaurant which meant the group of 20 people couldn’t hear themselves talk. Obviously the restaurant cannot be blamed for the lack of manners of its customers, but I still wish Americans would be accompanied by an adult when they travel abroad. My left ear is bleeding. Spectacular meal. Food was prepared wonderfully -- staff was attentive and helpful -- excellent experience overall. I was at van Speyk twice during my last stay here in Berlin, and was very impressed with the great atmosphere (in an old warehouse with exposed brick, big chandeliers, and comfy seating) and really good food. I had the Dutch Sole one evening and a steak the next. Service staff was excellent and very attentive. Would highly recommend this place! Most of my friends & I had the duck & it was so delicious! The service was lovely & thank you for accommodating all 9 of us! We had a lovely experience at this restaurant. The service and the food were wonderful. Awesome food. Well prepared, tasty, beautifully presented. Service was outstanding. I had the tuna which was great. The desserts were wonderful. Highly recommended. Nice restaurant, great food & wine, but average service.